These 15 celeb yearbook photos prove everyone has an awkward phase. Except for Snoop Dogg. 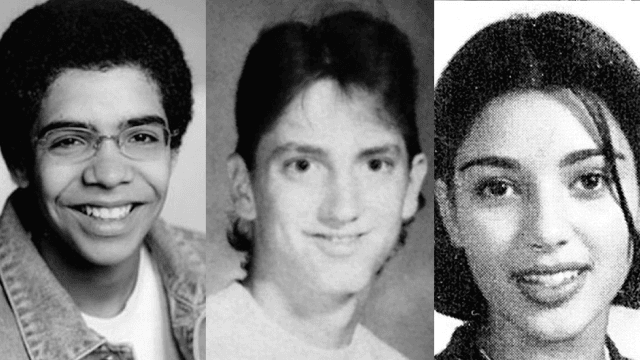 Yesterday in honor of Throwback Thursday, the day when we all get to be reminded that we used to be even more awkward than we are now, Complex magazine shared a treasure trove of celebrity yearbook photos on Twitter. These are absolute gems, mainly because they remind us that everyone goes through an awkward phase. Yes, even Kanye West (who may technically still be in one). Everyone except for Snoop Dogg, who looked suave as hell even in high school. Obv. Here's what 15 mega-stars looked like before they could afford stylists, luxury brands and personal trainers, when they were just a bunch of awkward nobodies, just like us!!! Ugh, we miss young Linds.